AHA Moisturizer with Fruit of Medlar smooths fine lines and wrinkles revealing a firmer, healthier complexion. Medlar is not only the fruit of fall and wintertime, but also the base for an excellent product for wrinkled skin. 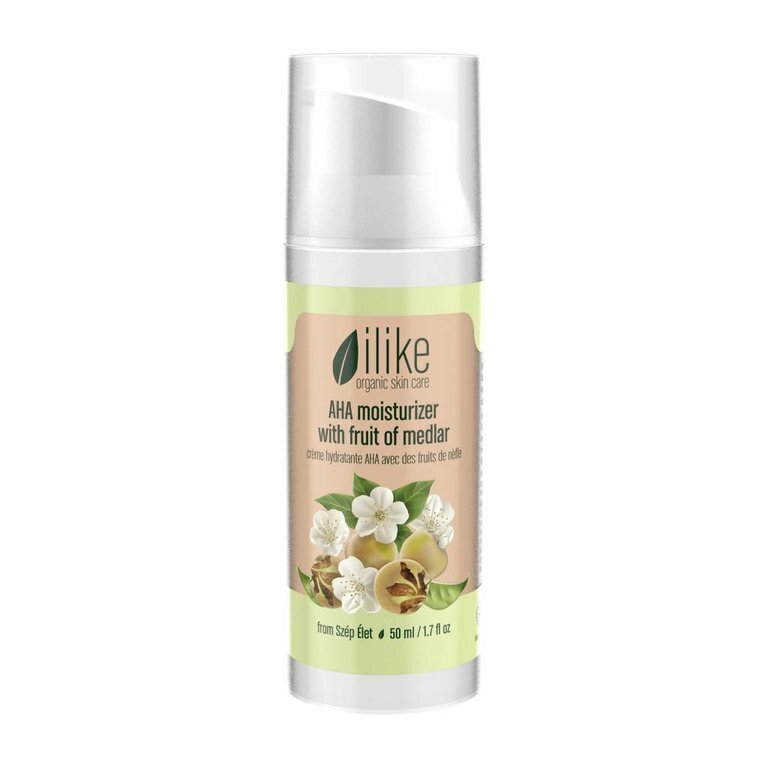 Used regularly, the slight glycolic acid content of ilike's AHA Moisturizer With Fruit of Medlar makes your wrinkles appear smoothened and your skin feel and look replenished and hydrated. Use in a thin layer possibly enriched with one of our serums or oil concentrates to achieve an even more radiant complexion. Use it as a final step of your daily regimen in the morning and the evening or use as otherwise directed. May be used as night cream for most skin types - enriched with Q10 Serum in case of oil deficiency -, and suitable to reduce the appearance of fine lines (eg. around the eye area). Avoid use before direct sunlight exposure.